Wisdom From The Throne: THE BRIDE OF CHRIST 4: THE BRIDEGROOM RETURNS! THE BRIDE OF CHRIST 4: THE BRIDEGROOM RETURNS! In ancient Jewish times, the father of the groom would determine when his son would return for his bride. This was usually decided when the father saw that the bridal chamber the groom was preparing was ready for his future daughter-in-law. Once the approval was given the groom set off to claim his bride and bring her back to their future home together. The groom’s return was always a surprise to the bride, who had to keep herself in a constant state of readiness. You see, the groom's return was not based on whether she was prepared or not! Although she had a general idea of how long he would be gone, she was never sure of the exact day and time of his return. The groom, along with his friends and attendants, would usually travel at night to increase the element of surprise. When they got close enough to the bride's home someone from the group would shout aloud, "Behold! 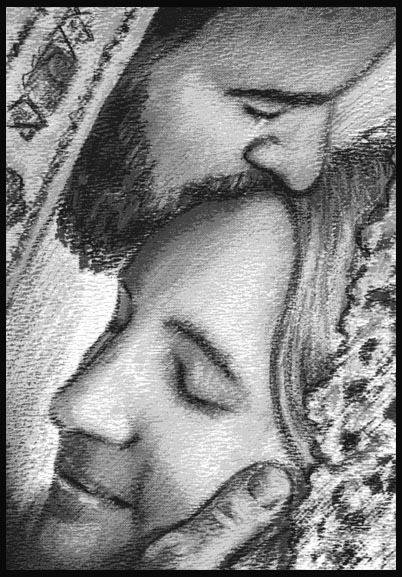 The bridegroom comes!" 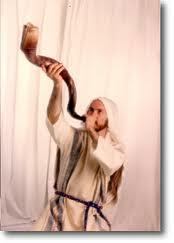 A shofar (ram's horn used like a trumpet) would then be sounded, and they would all proceed to the bride's home, expecting to see her ready to be whisked away to her new home with her beloved! The groom would take his bride into the marriage chamber he had prepared, and the marriage would finally be consummated. They would be one flesh, and live together from then on. A wedding feast would then follow, with music, dance, food and much celebration! For the Lord Himself will descend from heaven with a shout, with the voice of an archangel, and with the trumpet of God. And the dead in Christ will rise first. Then we who are alive and remain shall be caught up together with them in the clouds to meet the Lord in the air. In the parable of the ten virgins, (Matthew 25:1-13) Jesus illustrated how we, the Bride of Christ, must be ready at all times for His imminent return. All 10 women were to be part of the wedding. They all started off with oil in their lamps. However, only 5 of them had enough oil to last till the groom made his appearance again. The other 5 – called the foolish virgins – had run out of oil by the time of his return! As a result they were shut out of the wedding! Oil represents the active presence of the Holy Spirit in our lives. He teaches us all the things that Jesus wants us to remember. We must be sensitive to His promptings as He guides us in our relationship with the Lord. As a believer, you and I are either like the wise virgins or like the foolish ones. This is determined by whether we live our lives on a day to day basis in a state of alertness, preparation and eager anticipation of Jesus’ return. 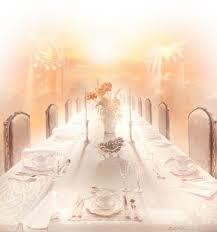 At a time that is only known to our heavenly Father, Jesus will return for His bride. It will be sudden, and He will come like a thief in the night. It is only those who are prepared that will go back with Him....those who have maintained an intimate relationship with Him while they waited. Is the Holy Spirit active in your daily life? Do you keep your “love flame” for your Lord lit? Is it flickering and about to go out?? If Jesus were to return today would you be ready? I love the analogy of the oil and the Holy Spirit! Thanks for sharing and challenging me to keep the flame lit. 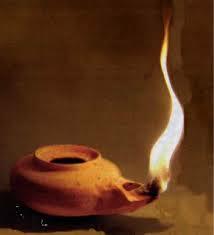 Beautiful presentation of biblical truth--I love lingering in the parables of Jesus and the lamps of the virgins was one of the foundational parables that formed my walk in the early years. Blessings! Wow! I am sitting here with tears streaming down my face! You will never know how much I needed to read this right now. Sometimes, when life is hard and the road is difficult, we can easily forget how very much He really loves us, and we can forget that He truly IS coming back for us one day to take us to that eternal home with Him. This was VERY well-written and oh, so encouraging! The picture depicting Christ holding His bride is so very touching. I don't know who you are, as this is the first time I have visited here, but you can be sure I will subscribe after reading this. Surely the precious Holy Spirit directed me here today, as He knows the struggles I am facing. God bless you abundantly for being obedient to write what He placed upon your heart! Thank you for your heartfelt comment. I'm so glad that you came across it today, and that it blessed you. This series came about because I wanted to know the Lord's love for me in a deeper and more profound way. Please know that, whatever you are going through, your beloved Bridegroom is right now making intercession on your behalf. Your name is inscribed in the palm of His hand. Keep holding on to Him. He's faithful! Dear Audrey, I so enjoyed your post about the bride of Christ. Yes, may we always keep fresh oil burning in our hearts. Thank you for sharing here at Tell me a Story. Wow! Thank you for this beautiful reminder to always be ready! Amen! No man knows the day or hour but we know he's coming back!!! Lovely and this made me want to give a shout or blow the ram's horn! Visiting you today from #FaithFilledFriday where we are neighbors. Merry Christmas! Audrey, I just found you thru blog boost. May I invite you to share your lovely words on the DanceWithJesus linkup each week starting on Friday? Bless someone there too! If this very well written, easy to understand article does not awaken something in us, that would be sad. This cuts to the core, it so simple yet so profound. I am reminded again how much our Lord and Saviour loves us and wants us to be ready for his return. Thank you for sharing.